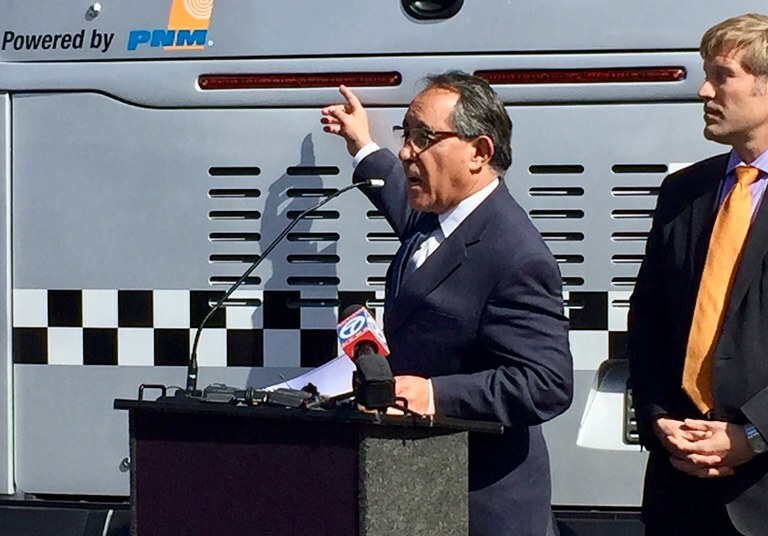 On Tuesday, March 6, 2018, Mayor Tim Keller held a briefing at Transit’s Daytona Facility to provide an update on the A.R.T. project, including the status of construction, funding, and buses. Mayor Keller outlined a list of items that are underway or have been completed since the last update, including construction and ADA (Americans with Disabilities Act) fixes at some of the stops. 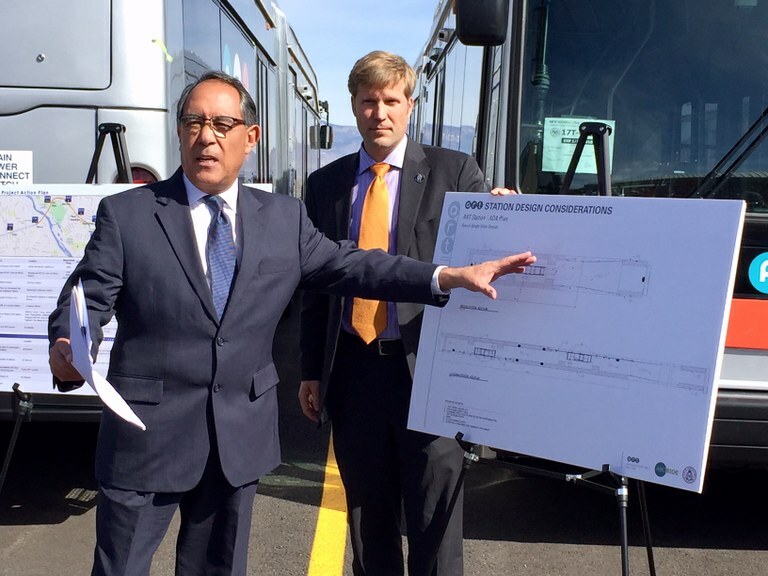 Concerns with the delivery of the electric buses and federal funding remain. Construction: Many construction fixes are complete or will be complete by spring including comprehensive road repairs, station height adjustments, the redesign of confusing intersections, and improved ADA compliance features. Funding: First of all, the construction fixes and any of the other challenges outlined which need correction come at no additional cost to taxpayers. The City of Albuquerque has yet to receive any of the federal funding, the project was built ‘on spec’ by the previous administration by borrowing money from existing GO Bonds to float the project. Mayor Keller and members of his administration have personally met with members of the Federal Transit Administration. The project remains in line with FTA guidelines and funding has been previously allocated at the federal level, however specific funding was never guaranteed, The administration is working with our federal delegation and will continue to advocate for the funds. Buses: The City has yet to receive all of the buses by the February 22, 2018 deadline set by the bus company Build Your Dreams (BYD). 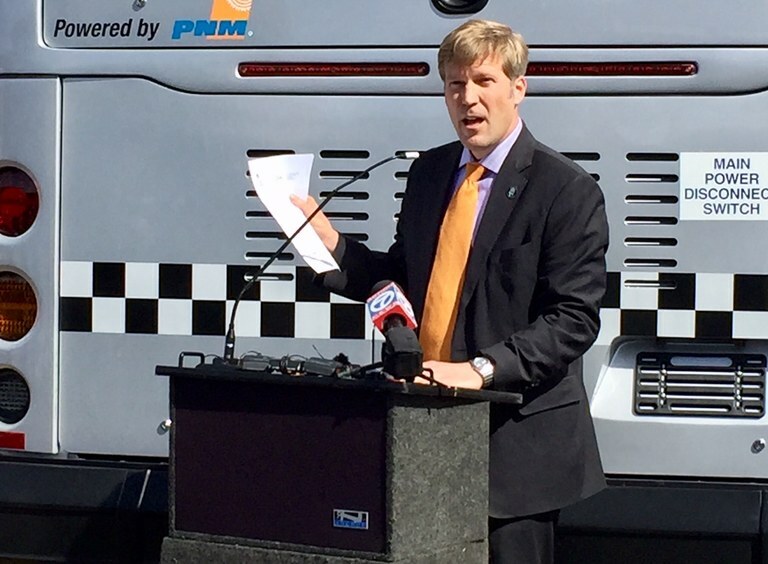 Sixteen buses have arrived in Albuquerque but are showing quality control issues including cracking, axle issues, not running the promised mileage on a charge, and leaking and charging capacity. On March 2, 2018, the City sent a letter to BYD to notify the company it was sending seven buses back due to significant issues. The city is in discussion with the company regarding its contractual obligations vis a vis other alternatives. Mayor Keller giving an update on ART buses, construction and funding isues.